You can lodge your car or home insurance claim over the phone or online at any time of the day or night, 365 days a year. Winner of Money Magazine’s Insurer of the Year 2017 & 2018 and 2019 Best of the Best Winner for Car Insurance and Home & Contents Insurance. See our other awards here. You can customise your cover by adding one or more optional extras to your policy (e.g. a hire car following an accident, or flood cover for your home); only pay for what you want. We guarantee the repairs to your car for as long as you own it and also stand behind our home repairs, including the materials and workmanship. Get award-winning comprehensive or third-party cover for your car. Insure your home building and/or contents against loss or damage. Relax on your international or domestic trip, knowing we’ve got your back. Make unlimited breakdown callouts for just $79.95 per year. View and edit your personal and policy details, make a car or home claim, and buy more insurance - 24/7, at your convenience. Our feature-packed cover, industry-leading prices and first-rate customer service have been recognised with numerous awards, including back-to-back Money magazine Insurer of the Year titles, in 2017 and 2018. We're also double Money Best of the Best 2019 award winners — for Cheapest Car Insurance, and Cheapest Home & Contents Insurance; and winners of Canstar’s Outstanding Value Car Insurance (2007-18) and Outstanding Value Home & Contents Insurance (2017-18) awards. Since 2000 we’ve insured more than 1.5 million Australians against financial losses they couldn’t afford to cover on their own, including car, home and travel insurance. 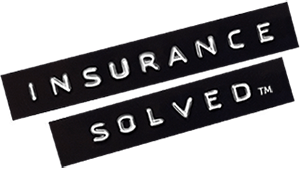 Want your insurance solved with Budget Direct? *Based on a survey of Budget Direct Car and Home insurance customers conducted between 10 February 2015 and 31 December 2018. Visit www.budgetdirectreviews.com.au for more details.